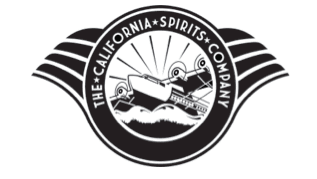 Get your awesome California Spirits Co. gear now for that End-of-Summer event! Being the person at the party talking all about the latest craft beer spot is old news. Get in on the newest and most amazing revolution: Local Spirits! What better way to start up a conversation than informing your friends of the local distillery! Wear your gear into our distillery and get a FREE TOUR & TASTING!! Anyone who is sporting California Spirits Co. gear can simply walk in and get an absolutely free tour and tasting. WARNING: It's only for those wearing the gear! Your date can either pony up the cash for a tour or pick up their own gear on-site! Sign up now for our an all-day course on distilling and starting a distillery! This course is presented by the owners of multiple distilleries throughout San Diego County. Topics will span multiple subjects and there will be a panel discussion at the end to address any additional questions. Location: Room 101 in the Foundation Classroom Building on CalState San Marcos Campus near Lot F.
Bill Rogers from Liberty Call Distilling will be talking about working with bands and events to increase sales. There will also be a panel at 4:30pm to address any ideas or questions that may not have been covered. We're ready to open to the public! Come on by and check out a working craft distillery, try some of the booze we make here, and pick up a bottle for the weekend. Grab a shirt, hoodie, or a hat from our merchandise area to support local North County business! Tours will be running on the hour from 9am until 6pm on June 9th, 10th, and 11th. This delicious rum with natural flavors is exactly the flavor and smoothness you've been looking for in a coffee liquor. Every ingredient is perfect! We took it all the way back to the orchard for this one. We drove to Julian and selected the bushels of apples to smash to make the cider for this delicious drink. We then reduced it with brown sugar and Saigon Cinnamon (the bark, not the rolls) to create this perfect balance. It's as good as it gets; warm or cold! It took a long time (and a lot of Mojitos) to get this one right. We paired our homemade simple syrup, a spearmint extract that actually tastes like fresh spearmint, and the World Famous Nelli & Joe's Key Lime Juice to make this perfect Mojito in a bottle. It's turned every, "I don't like Mojitos" into "THIS IS AMAZING! Yes, it's finally here! AVALON Silver Rum has officially been retired to the pages of history. If you see a bottle of it out there, grab it! The last ones will be sold directly out of our distillery. Where the sun sets on one outstanding product, it rises for another. Introducing INNOVO White Rum! Latin for Innovation, we've set out to top our previous best. INNOVO has a cleaner fermentation that produces a bouquet of fruit flavors, it's distilled more times for a lighter, sweeter rum, it's proofed with carbon filtered water instead of RO, and it's filtered for purity. Every step is taken to deliver the most delicious rum we're capable of and if you've been following us, you know that mark is pretty high. The ADI has done us humble distillers in San Diego a great service! Check out the write-up they did in their winter edition! Name the next world class rum! It's time for AVALON to head to the pages of history. We may bring back a seasonal run of that original recipe that goes so well with pineapple or blood orange but for now, it's onward and upward! Thank you to everyone who submitted a name to the contest. There were a lot of great ideas! When it came down to it, the name that was selected conveyed the idea of Americana, aeronautics, adventure, innovation, and rings of a nostalgic time of American history true to the brand. Innovo is Latin for Innovation and that's exactly what we try to do everyday. INNOVO is AVALON version 2.0. We've improved our award winning rum by keeping the base recipe, adding a few more steps to the distillation process, introducing a maple carbon filter technique, and look forward to another year of medals and awards with INNOVO 2.0! This time, the flavor profile is focused on more traditional cocktails like the Mint Julep, Daiquiri, Planter's Punch, Old Fashioned, and Cuba Libre. Look for it on the shelves this fall! Until then, grab one of the last bottles of AVALON for your next party! This was our first step towards a working relationship with the local university; Cal State San Marcos. We signed up to participate in CSSM's Business School Senior Experience Project. This program had to have clearly definable goals, milestones, and push the students to get a glimpse of what it's like to be an entrepreneur. We were assigned a team of 5 very talented young students and they did an outstanding job managing the Kickstarter project. While we may not have hit our financial goal, we definitely learned a lot in the process, developed new relationships, and made a pretty cool video. AVALON Silver Rum won Best of Category for White Rum at the American Distilling Institute's Annual Conference and Spirits tasting! Holy smokes! This feels awesome to have a national organization validate that not only do we make good rum but of all the white rum entered in the event, AVALON was the BEST RUM! YESSSSS! This comes right on the heels of winning the silver medal at the San Francisco World Competition. The highest medal given to any American white rum was a silver medal in that competition. The gold went to a few rums that were aged 10+ years. Well, all I can say is that in a few years from now, they'll have AVALON aged rum to contend with! So far, 2 competitions and 2 top awards for our category! Not too shabby!